When I visited Indonesia earlier this year, my first impression was that it looked so much like the Philippines. Nevertheless, the country undoubtedly has its own flair and one of the places that I have come to love was the area around Uluwatu Temple. I’ve walked this amazing stretch by foot under the sweltering heat, but the breathtaking views made up for it — so when I was given the chance to view it from up high with a helicopter tour ride provided by eOasia and Bali Adventure Tours, I gladly gave my ‘yes’ in a heartbeat! I actually did this during my last day in Indonesia and for sure, it was a great way to mark the end of my trip especially since the experience was also my first time in a helicopter. After the whole ordeal… I was ecstatic. All I could think of was that I could absolutely get used to helicopter rides, and if it’s possible to take one in every country that I will be visiting in the future then that would be fantastic! I was picked up from my hotel and brought to the private helipad of Bali Adventure Tours’ head office which was near Benoa. After a brief introduction, one of the organizers started to discuss the safety rules and instructions while riding the helicopter — at this point, my excitement was slowly building up as I proceeded to take in all of what was starting to happen before me. Once we were done with the discussion, we headed out to the helipad and when I caught sight of the helicopter that we are about to be using for the tour, my excitement just simply shot through the roof. I really tried to contain my emotions but it was hard to, more so when they let me take the seat beside the pilot! As I settled down in my seat, they handed me an aviation headset which was basically a noise-cancelling headphone but with a built-in microphone so that the pilot can communicate with us and vice versa during the duration of the tour. After the head aviation office at the island’s main airport gave us the go signal to takeoff, I prepared myself for some sort of shaking spree or whatnot — but I’ve discovered that lifting off of the ground in a helicopter was actually pretty smooth. In fact, the feeling was similar to when I’m riding a ferris wheel which as you might know has that very slight pull when it takes off of the ground and gains momentum to go up. From then on, all that I felt was amazement and awe… after all, I was “flying” up high at a specific height that offered views not typically gained from my typical big airplane rides. As for the summary of our flying route, we first went over Serangan Island which was also called by the Balinese as the ‘Turtle Island. We then crossed the flight path of Ngurah Rai Airport and proceeded to go around the Bukit area which has the famed Garuda Wisnu Monument. Heading west of Uluwatu, we caught glimpse of the area’s famous 5-star hotels and surfing beaches, and down south we witnessed Dreamland beach and Padang Padang surfing beaches. And of course, the highlight of our helicopter tour: seeing the iconic Uluwatu Hindu temple that towers at the tip of a pictureque cliff! Before heading back to the head office, we flew over Tanjung Benoa that was a well-known spot for watersports. In short: the whole helicopter ride around this area of Uluwatu was jam-packed with scenic landscapes and everything was just so gorgeous beyond words — that’s why I will let the video and photos below do rest of the talking! Pick-up and drop-off at your hotel if it’s within these areas: Nusa Dua, Tanjung Benoa, Jimbaran, Kuta, Legian, Seminyak, Kerobokan, Sanur (or if you’re flying in from Ubud, they can provide a free pick-up too). This was an experience that you must absolutely check off from your travel bucket list especially when you’re near the Uluwatu area of Bali in Indonesia. The 25 minutes duration may seem like a short time for you (I had that same thought too at first); but in the end, I found out that it was a reasonable time to be up in the air as a first-timer — it was absolutely more than enough! So what are you waiting for? Grab this chance to undergo a unique tour from the sky! Many thanks to eOasia for providing me with this complimentary helicopter tour! Still and as always, all views that are expressed here represent only those made by myself and NOT of any other entity in their favor. What do you think of a helicopter tour? Would you like to try this in Uluwatu? Why or why not? Or have you done helicopter tours before? How was it? Beautiful and awesome sky view photos. Looks like heaven on earth. I love to tour! Seeing all of Bali in a bird's eye view is kinda a refreshing view of perspective! This look amazing and I will surely want to try out on my next trip. Having an aerial view of the city is alwaysthrilling. Wow wonderful photographs, well captures photos of indeed. Seems like you have captured it from helicopter. I hope it was incredible moment for you to behold the scene of ground. 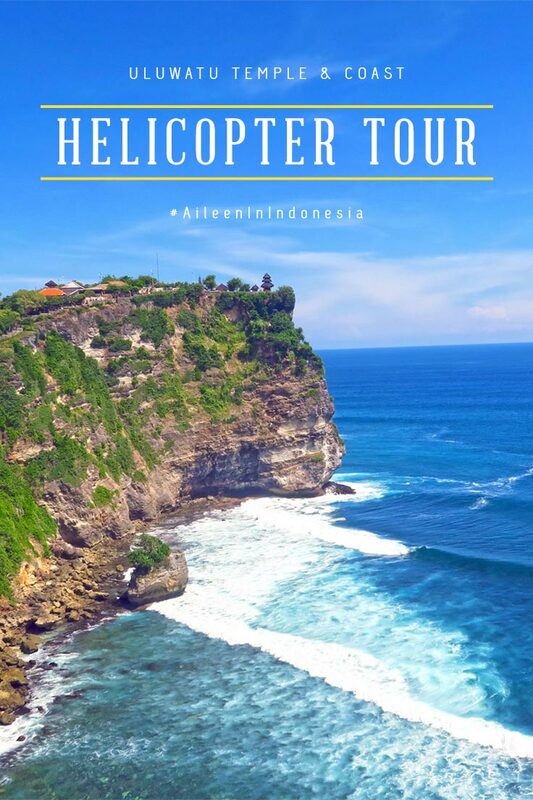 Watching your Bali tour with helicopter was great moment for me and I'm so excited to visit this place. You will be glad to know that I have a wish to sit in helicopter and see such wonderful place. Really Bali looks amazing and I got impressed to see the sky view of this place. The beaches, sea and city all are awesome of this place. I'm sure you'll never forget such wonderful moment of you life. I got impressed to see the hilarious scene of Bali captured from helicopter. Thanks for highlighting your beautiful helicopter experience with us, Aileen. Keep sharing such interesting post. Wow, what a blue sky! The photos are incredible! I cannot imagine the real colors of those beautiful nature. Marvelous post! 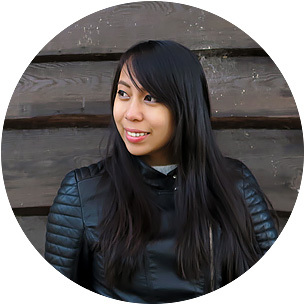 You are such an inspiration Aileen. Like you I love to travel around the Philippines and abroad telling love stories of my couple. Really, you are inspiring. Aww thank you! I wish all the best for you! What a wonderful experienced Aileen. You're so lucky having toured with Helicopter around Bali. These eye-catching views give me bliss. How I wish I could try this one too.